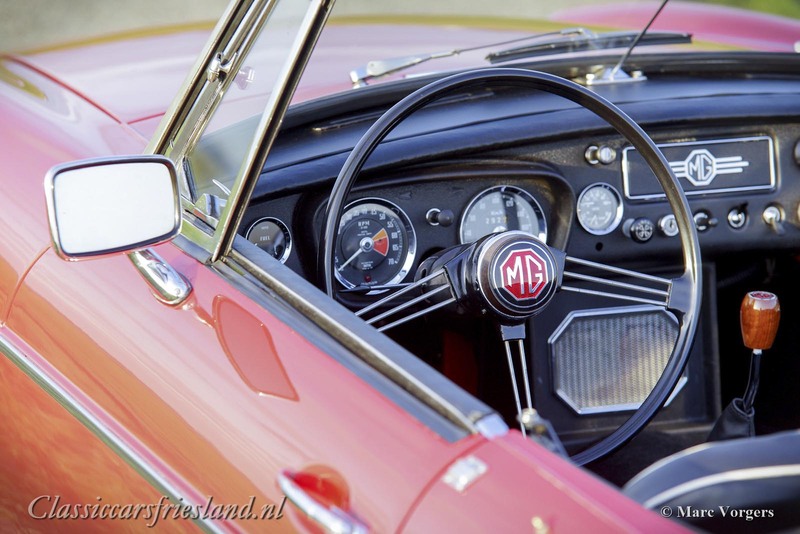 MG MGB Mk 1 roadster, year 1966. 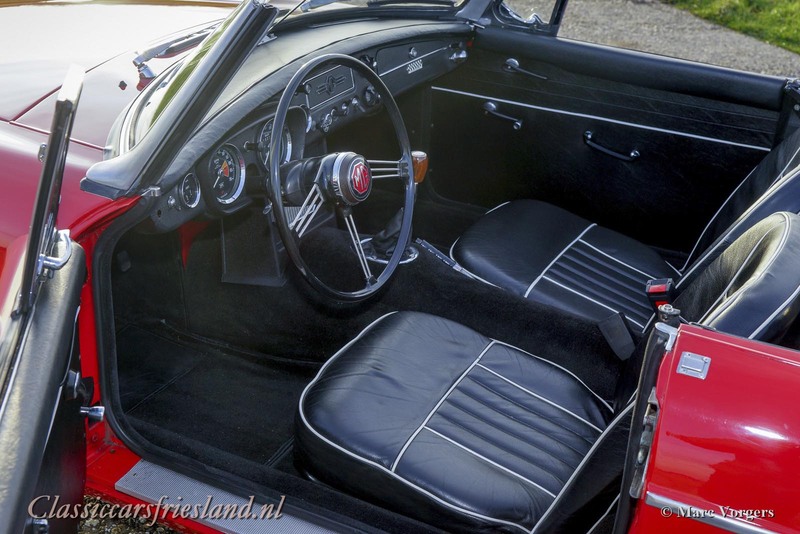 Colour red combined with a black leather interior trimmed with white piping. 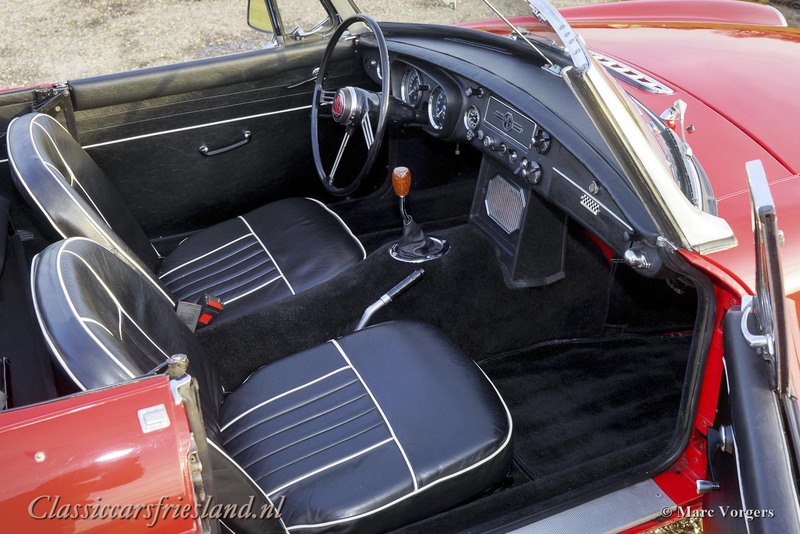 Black mohair soft-top and hood-cover. 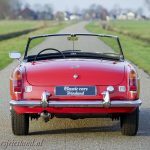 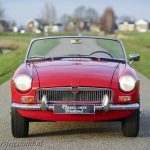 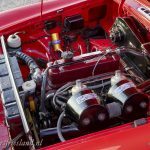 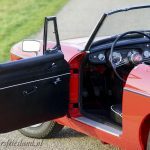 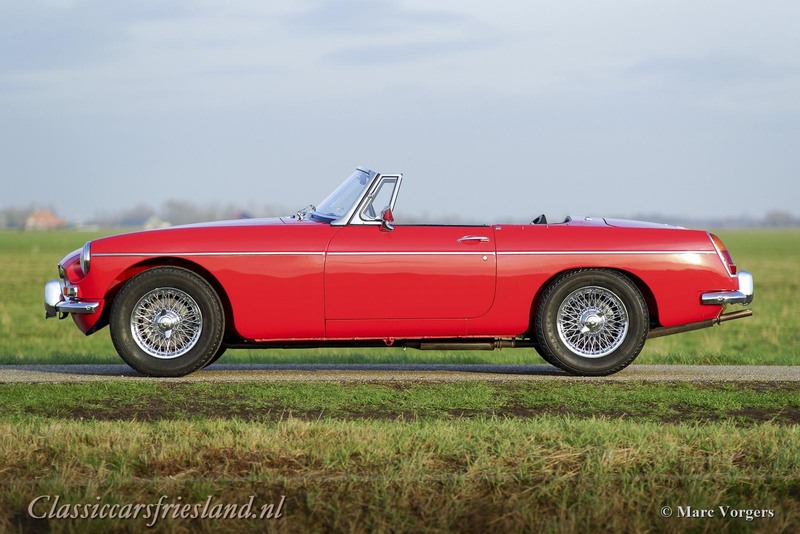 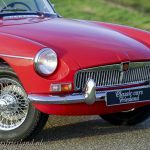 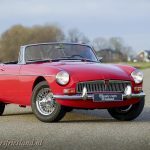 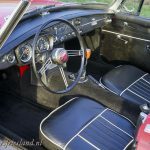 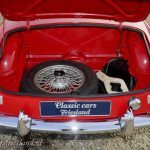 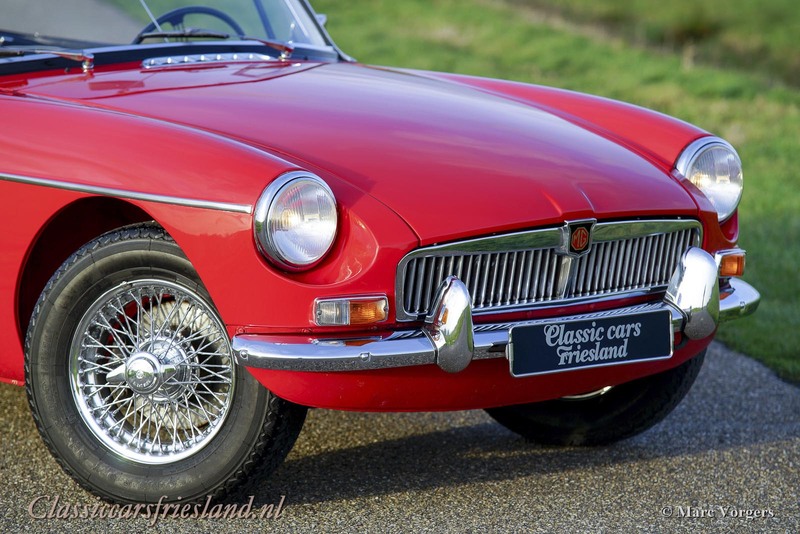 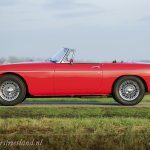 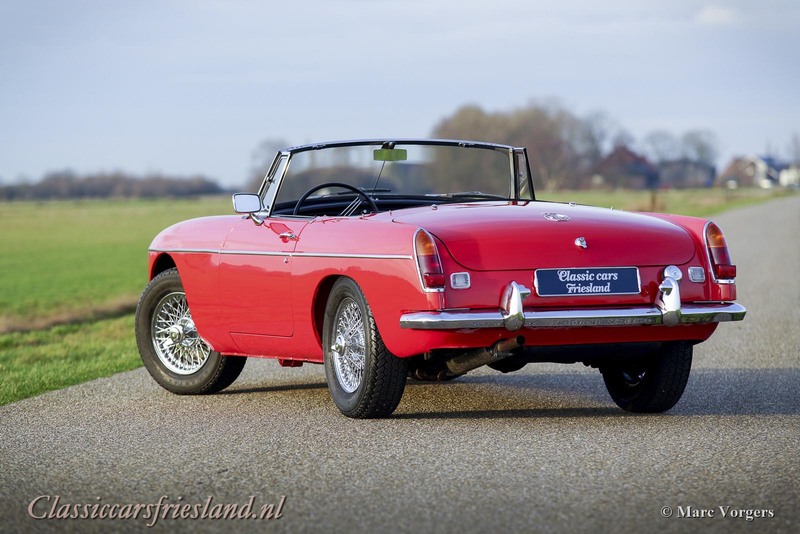 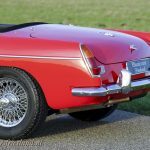 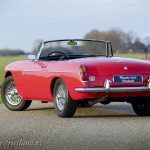 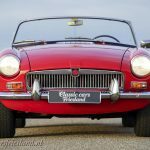 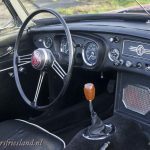 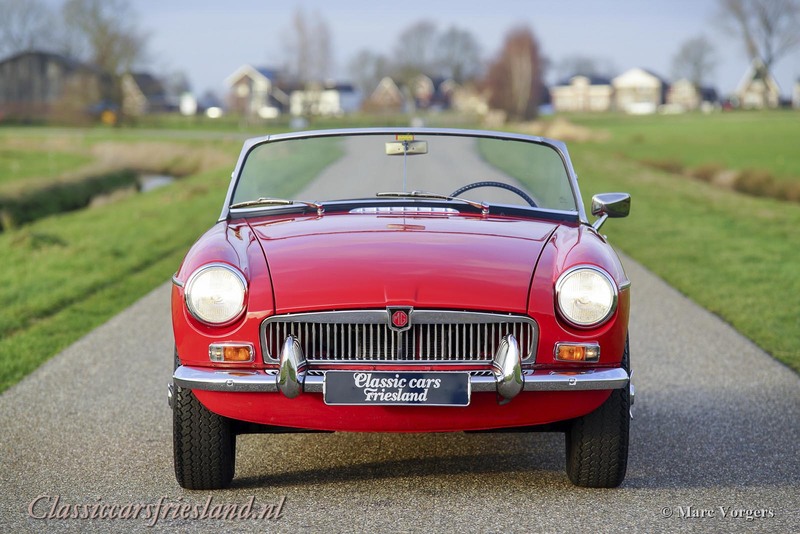 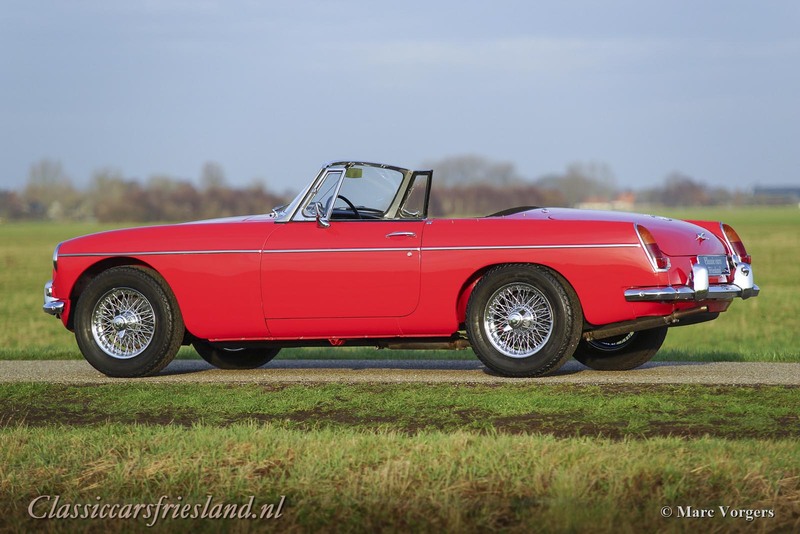 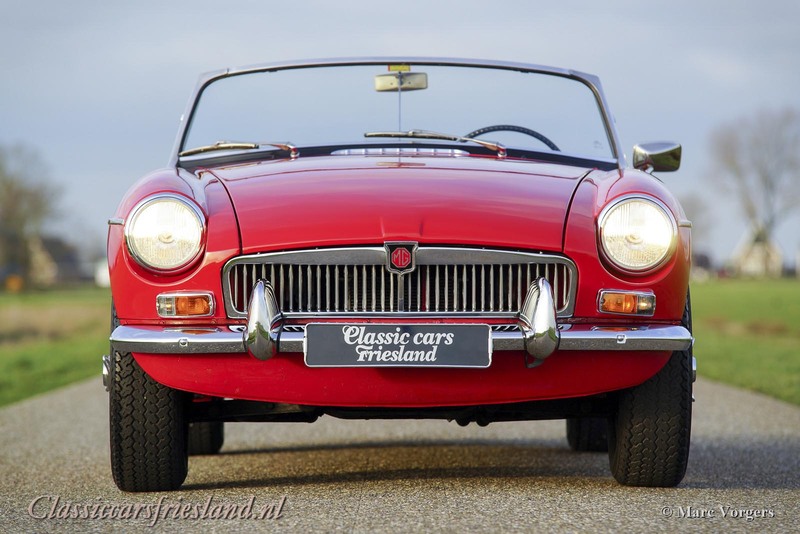 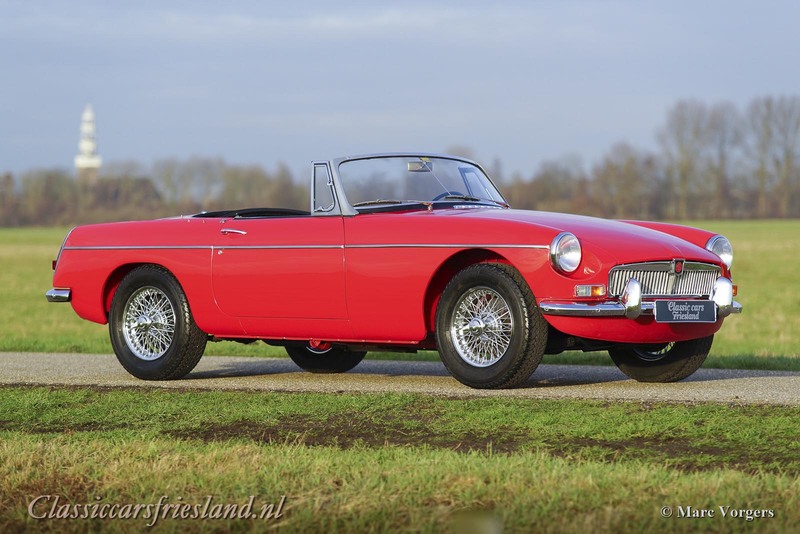 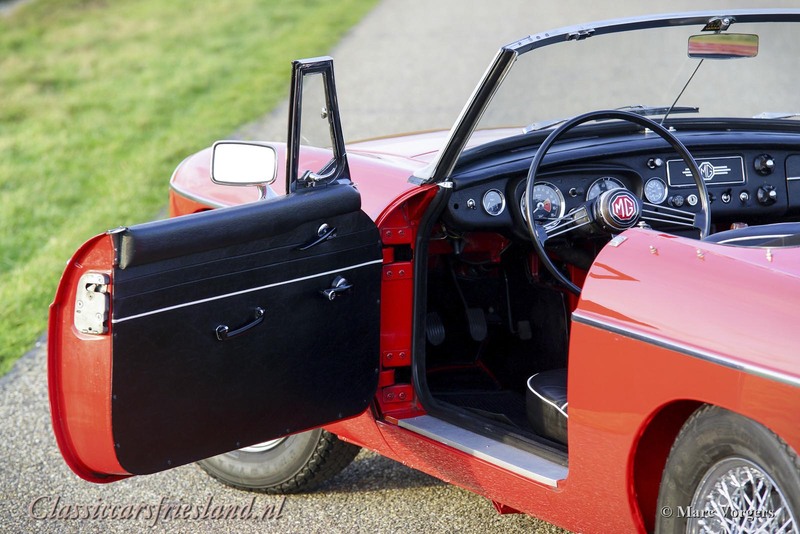 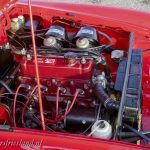 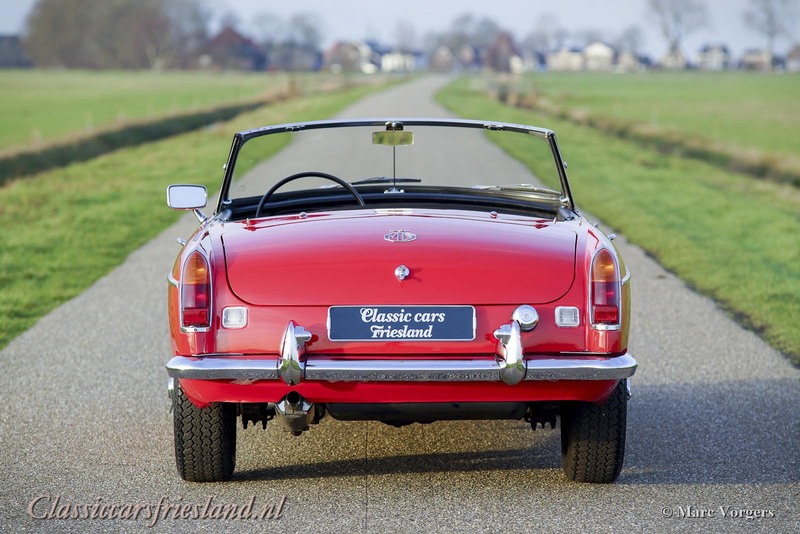 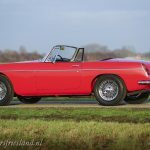 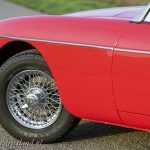 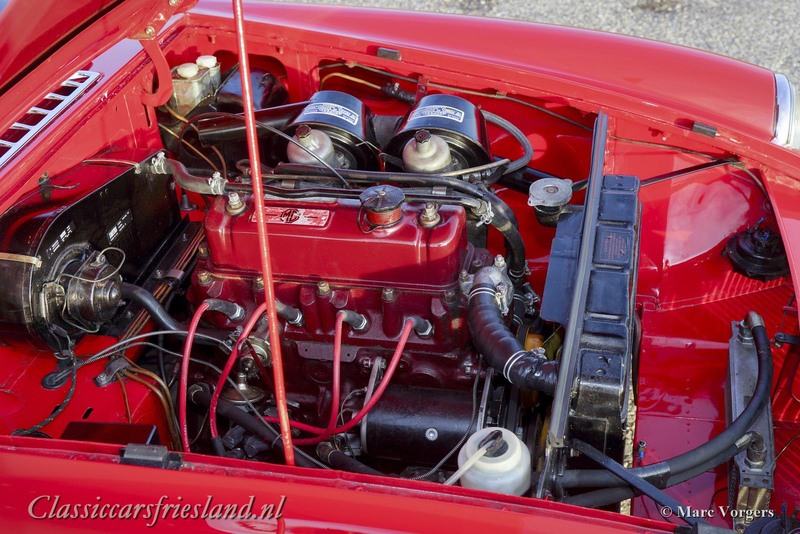 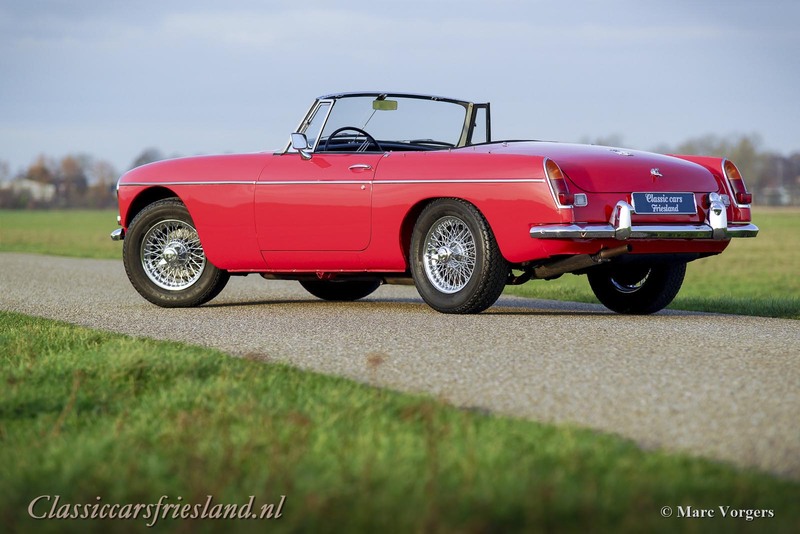 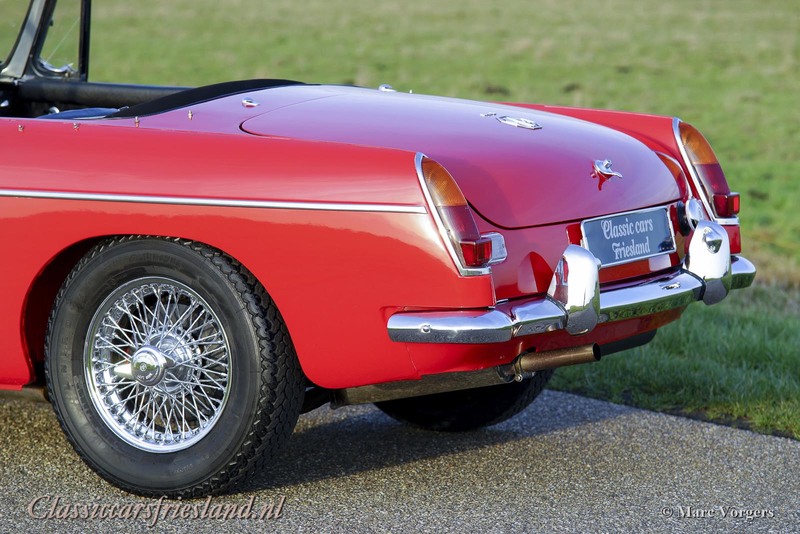 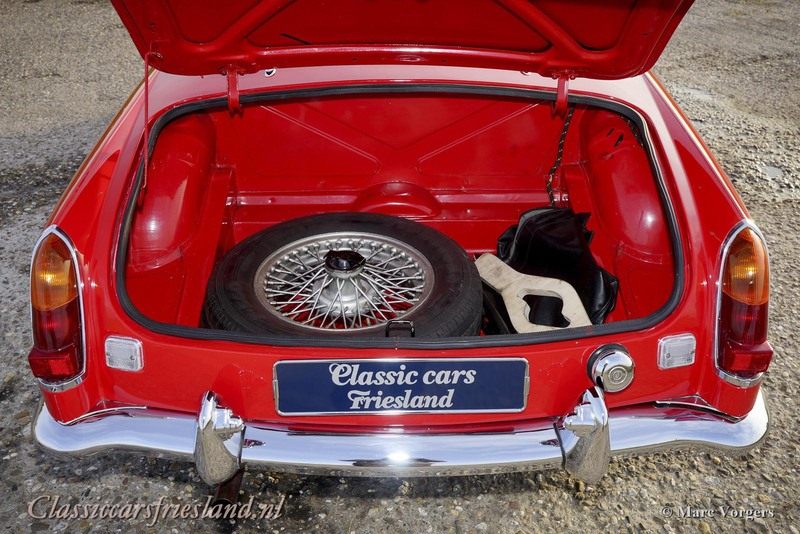 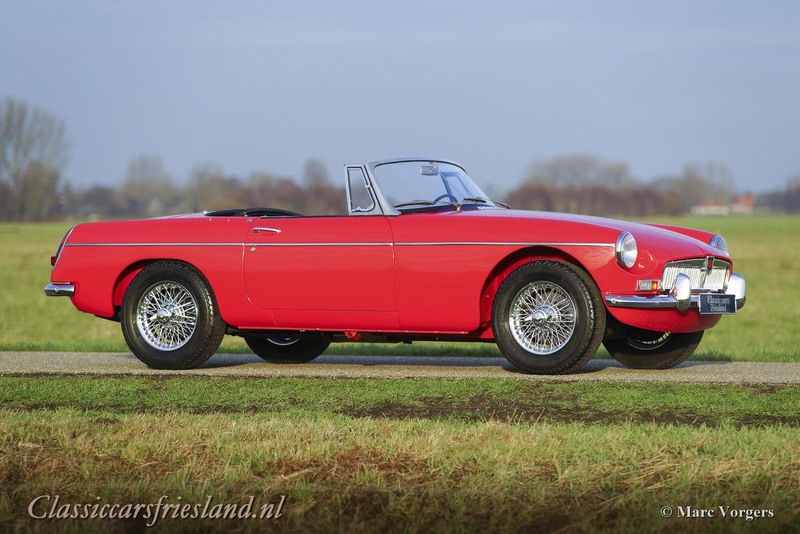 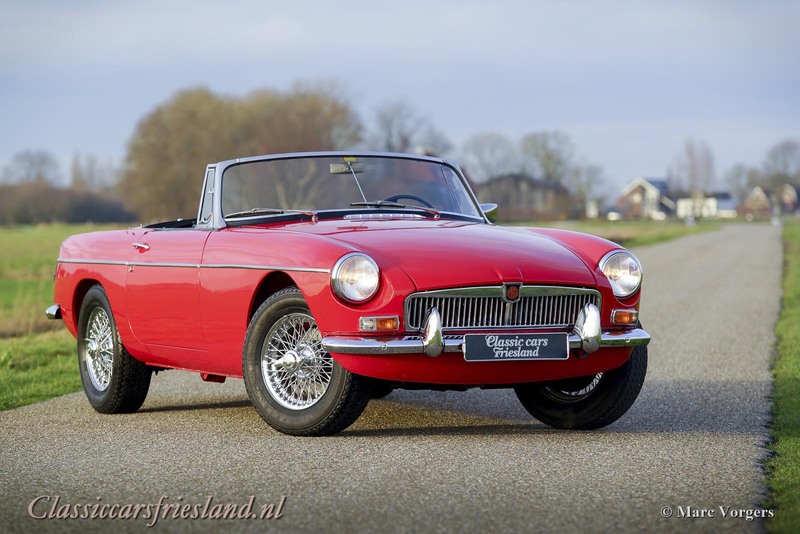 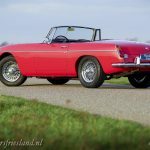 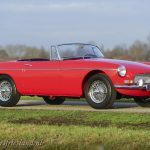 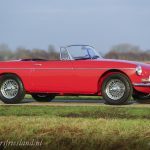 This wonderful MGB roadster was fully restored in the Netherlands in the years 2015 – 2017. 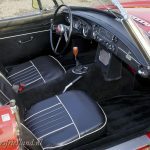 The body was restored from the bare metal up and the work was completed with a professional body and paint job inside and out, including the underside. 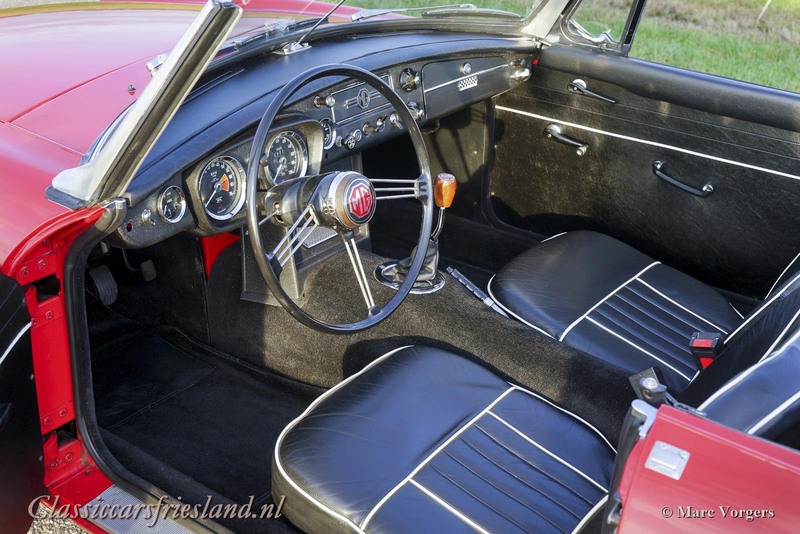 Everything was restored, overhauled and / or renewed; the engine, brakes, cooling system, dashboard gauges et-cetera. 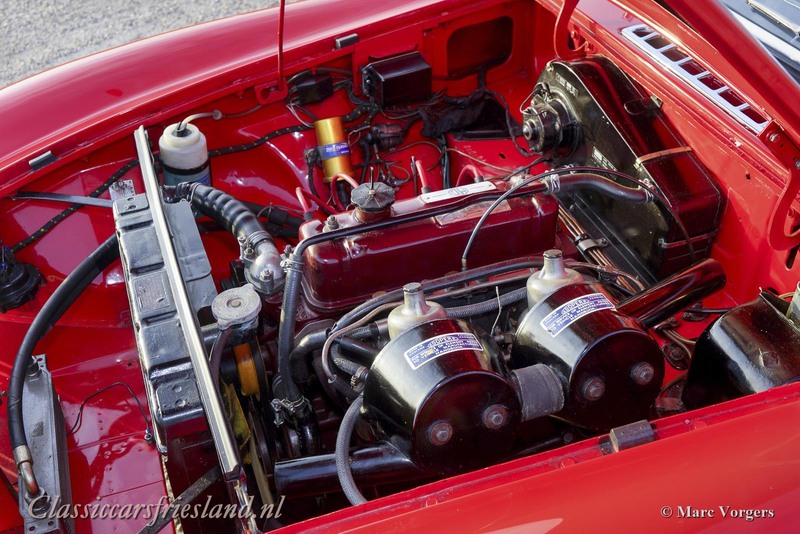 A 5-speed manually operated gearbox (modification) was fitted and a Stainless-Steel exhaust system. 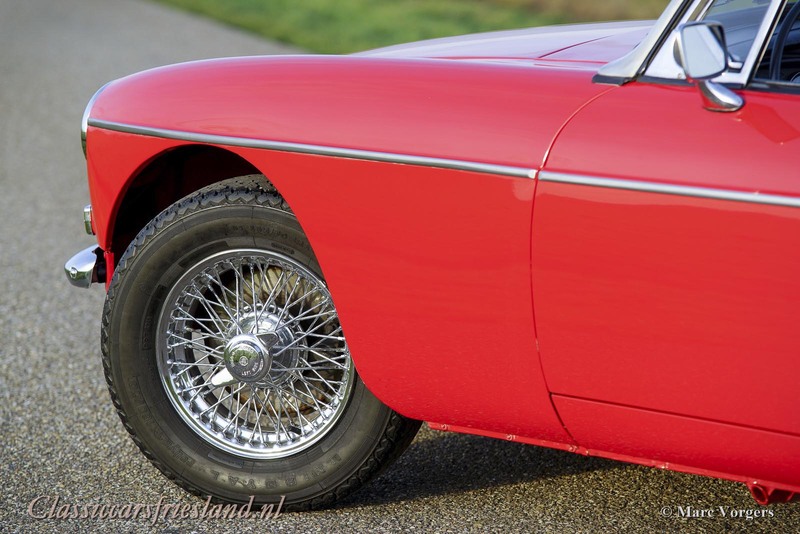 An extensive restoration file is present. 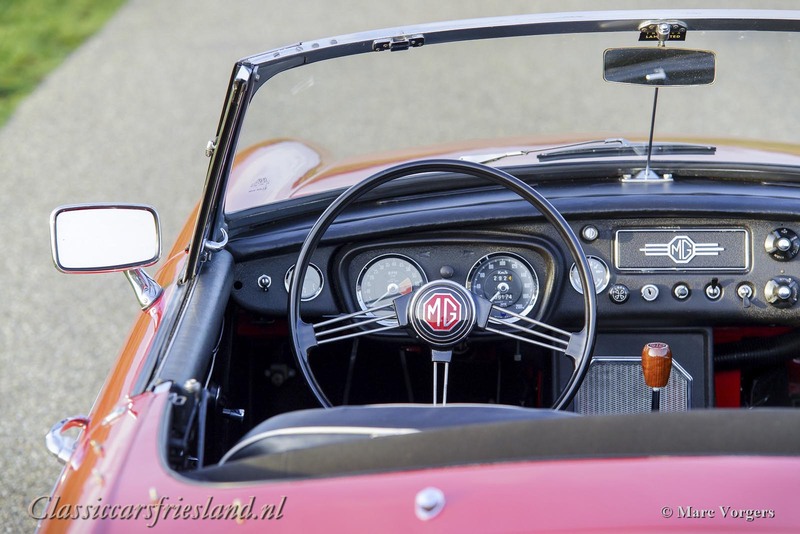 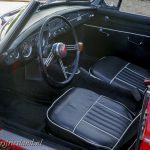 This beautiful MGB roadster Mk 1 is in superb top-condition and it shows beautiful original details like the metal dashboard and the original steering-wheel. 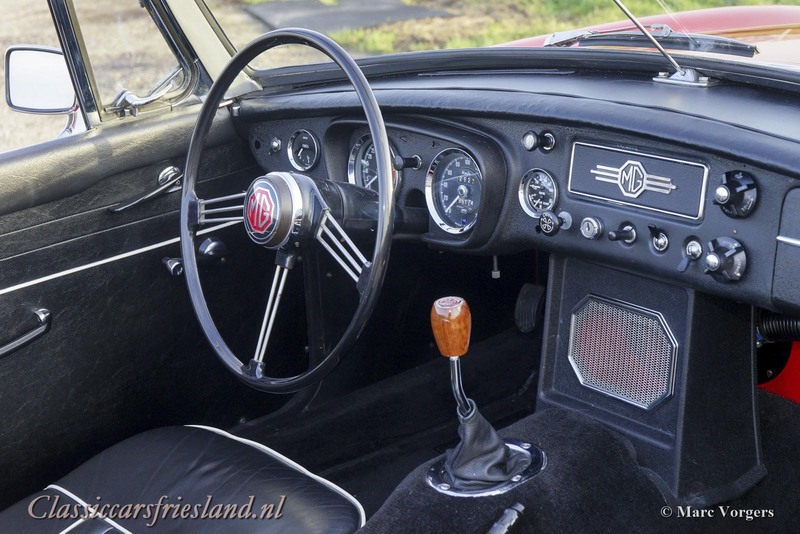 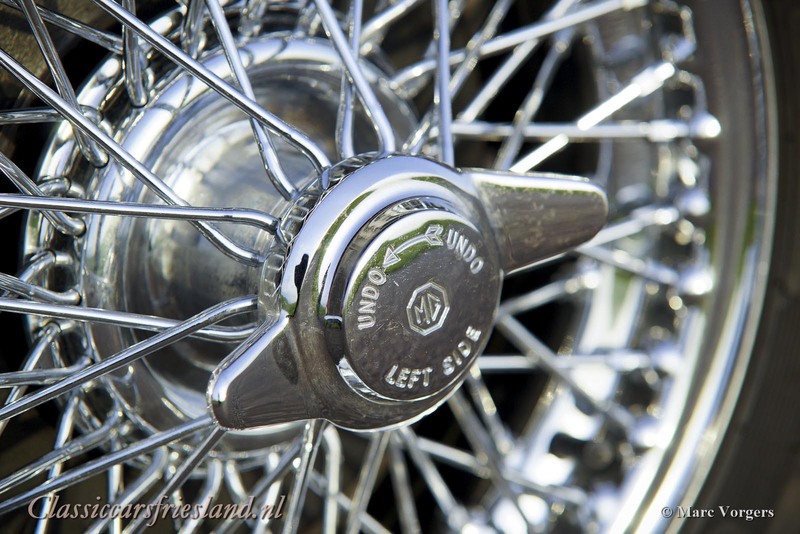 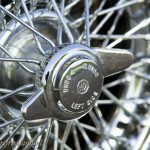 The car is fitted with chrome wire wheels and a walnut-wood shift-knob.